KWSN Orbiting Fortress :: View topic - Good and Free virus, spyware programs. Good and Free virus, spyware programs. Posted: Thu Jan 25, 2007 6:44 am Post subject: Good and Free virus, spyware programs. I found this on another board, if any of you PC geeks see something wrong on this post, let me know and tell me what to change and I will. Can't say enough good things about this one. Real time protection, excellent scanner. Still in beta mode. You must have a legal version of XP installed. If for some reason you do not have a LEGAL copy of Windows XP, do not try to download this. It will put your machine through the Windows Genuine Advantage test, and it will fail. They have a free version available. This thing can fit on a single floppy, which makes it nice if you are using a public access machine. Can't say enough good things about this program either. I always run it first. S&D is the most gentlest on the machine and can fix New.net infections with out knocking the entire Internet off line. Real good innoculation program, and a massive host file list. until you are told what to delete, don't. This thing shows all running processes. Will not get rid of spyware, but innoculates your machine against Active X and hazardous websites and many of the drive by downloads. Regular updates. Great E-mail scanning. This also has some great skins, I use the Star Trek skin. Sometimes this thing just won't install. If that happens, Use one of the others below. Most easy to use of all the three. Very nice e-mail scanner. Daily updates. Can set it to do full scan everyday. This is rated as the weakest of the three scanners when it comes to ratings. But don't let that discourage you from using it. I can say nothing but good about this one. http://www.free-av.com/ Use this one on your crunching machines. Very small CPU usage and footprint. Only thing I don't like about the scanner is on many updates you have to download and re-install the whole thing. Virus updates either require task manager running or do it manually. Updates do come out quite regularly. Please note that ClamWin Free Antivirus does not include an on-access real-time scanner. You need to run manual scans in order to detect a virus or spyware. But if any of you are using Server2003 as a home computer operating system, this will work. You can also combine Clamwin with Winpooch another Public GNU project to get real time scanning. http://winpooch.free.fr Winpooch is an Antispyware/Trojan remover. Hmmm, Not really a virus scanner, not really a spyware/malware scanner. But it does remove a lot of both of them. This scanner mainly goes after Trojans and keyloggers and it does a very good job of it. It does take a real simple registration to get the program activated. I have gotten a grand total of 6 emails in one year (and I'm signed up for everything they send out) so don't be worried about getting spammed. "Many available products have weaknesses in detecting other malicious software (Malware) like Trojans, Dialers, Worms and Spyware (Adware). a² fills the gap that malware writers exploit." 14 day full trial, after that you can still use the scanner manually and have to do manual updates. Ewido just recently merged with AVG. This scanner is very popular on all the anti malware security forums. It is one powerful tool. "Widow Security Suite supplements existing safety systems and becomes a complete solution, because only a complete safety system is effective. We offer protection in real time against more than 67,000 threats and our malware database is updated daily." Requires you to provide an e-mail address. I always use my gmail to get through that. Will not remove all malware, but gives the name and path of where it is located. This might not actually remove everything it finds, but it does give the full path to for manual cleaning. I knew it was just a matter of time before Microsoft started one. No matter how good of a scanner that you have, these will sometimes find something that yours missed. Many of the viruses will target your scanner. Feel free to use them anytime you want. http://www.bitdefender.com/scan8/ie.html Note: very slow, will probably need to run overnight. I did not mess with any of the free online scanners that only offers the scan and than will not actually remove what it finds. Prevents unauthorized access into your computer. It will also tell you when a program tries to access the Internet. The first time a program tries to contact the Internet a box pops up, gives you the name of the program, the path and asks what you want to do. If you know a program is legit, just hit always allow. If you have no idea what the program is, Google it to find out. Think of it as a giant alarm bell. Please Read: I have installed the popular ZA on several clients machine recently, and frankly it has become a bloat hog. Some machines I could not even get it to run and have had to make several trips back to remove the blasted thing. I now recommend using the one below. You get the full product for 30 days, after that the firewall will still work but in a limited mode. But, you will still be much better protected than just using the Windows built in firewall. "Most products you test function for a month and then they stop. But not the Sunbelt Kerio Personal Firewall. After 30 days, it shuts down selected features, but will continue to run in 'free' mode". You can see the table that compares the differences between Sunbelt Kerio Personal Firewall running in a free mode vs. a full (paid) mode on the website. This does require a sign up, in order to get the download. But don't worry, they do not spam or sell your e-mail address. While not a virus scanner sometimes hard drive failure will mimic that of computer viruses or a malware infection. This little jewl above will give you all the information on how your hard drive is behaving usually way before a complete hard drive failure. My advice is to get the thing and run it at least monthly to insure your hard drive is still performing properly. You can also leave it on all the time and if something goes wrong it will give you an alert message. Many of the spyware programs out there are nothing but spyware themselves. When in doubt check this website. Update, Just1Vet is the original writer of these wonderful programs, he is now a member of our board and brought us an update. Thank you for all you great work. This does require a sign up, and AOL reserves the right to send E-Mail to you in return. This is actually a Kapersky scanner, so your getting the best. Updates are about every 4 hours if not sooner. 1) You've copied some abbreviated links. They show as ... and actually link as ... which doesn't work hehe. Hijack This - http://www.spywareinfo.com/~merijn/programs.php for download. Direct downloads quickly become out-dated. Thanks, I was hoping you PC folks would add/make changes as needed. I know there is lots of great stuff out there for free. I didn't know how to check all this stuff, but I knew the guy who posted it is an excellent PC person. Thanks JerWA for the add ons. Webroot Spy Sweeper is a great product. I also use the Symantec virus software. I wonder if, armed with all these new tools, John is going to be brave enough to finally try WhatPulse and join the KWSN team. I'm not sure what that thing is, but maybe that's what John thinks will happen to his PC. Not doing the click counter. This post has so much useful stuff in it, I didn't want to see it get buried. thus the move to this forum. A shadow link remains in the Round Table. and it seemed a likely candidate to remain at the top, so I've made it sticky. How ironic. I was headed here to post that. It was my list from the Possums forum. Very glad to see it on other boards. Thanks Just1Vet, I updated the virus and spyware stuff you gave us and let everyone know you were the original write of all these wonderful programs. Good to see you here and wishing you the very best and hope you enjoy your stay with the lou-knees. Well I wish I had seen this post earlier, I have been looking for a new firewall as I was still using Sygate. I found Comodo this past weekend and I love it. Btw: personally I don't recomend Zone Alarm as it is not uninstall friendly. 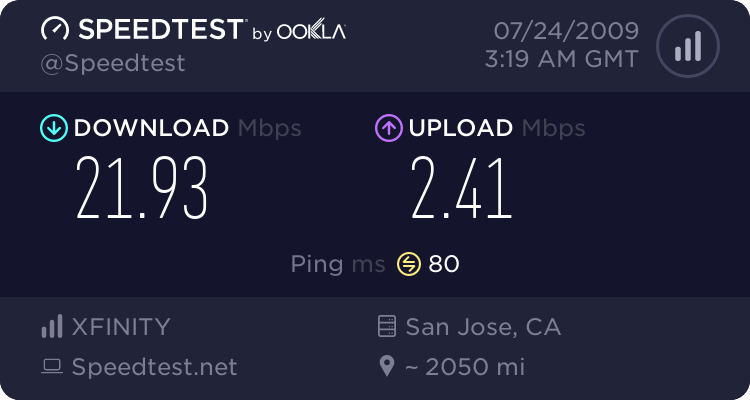 I have had at least half a dozen friends who could not get their internet connection to function after removal. It is very fussy about uninstalls and you had better do it right or else. Sypware guard is great but if you run XP make sure you download and install the correct one or you will regret it. I also use Spyware Blaster, it is just a host file. EZ Cleaner is a great registry and unnessary file cleaner. ( remember all chat pages get saved ) I have removed 100 Gb of usless files with that on the first run on more than one occasion. Don't forget AdAware. Free and finds things the others don't. Does anyone know of a good and Free Defrag program. I use diskeeper but it is only free for a short time and then the functionality is limited. Sir Jbyram2 just mentioned a program called UnHackMe he recently used and got good results from. I don't have any experience with it myself. Yup.. Unhack meUninstalled a nasty rootkit trojan quite handily. hijack this was able to identify it, but could not remove it. 30 day evaluation, then $20 to keep it. Do NOT ever install Security Toolbar 7.1. I use comodo firewall and spybot, both are really nice . Btw just in case you have not been to the comodo site as of late, you may not be aware that there are patches for 3.0. the patches make the updater functional and if you are using 3.013 you will need the patch. The only issue i have with spybot is that it eats 100% of cpu while loading and it takes a bit longer to load than the old ver.(1.4). As far as comodo , I did have a bit of a learning curve at first, but even for a novice like me it was not to bad. I spent part of my Saturday evening and the first four hours of my Sunday morning, trying to remove a resurrected version of Trojan.Zlob.L (ET* something) from my wife's laptop. I didn't remember this list, but I wish I had. I ended up using this: http://www.superantispyware.com/, which did the job. Also tried Spyware Doctor (I think). Bad plan - it only scans and then wants you to buy the program. I also needed HiJackThis to clear up the desktop background from the trash the trojan put there. Since I last used it, there is improved facility to automatically look up some of the things it finds without talking to a human expert. Caution is still needed though. Finally, as if any reminder is needed, be HIGHLY suspicious of any alarming messages that pop up telling you you need more anti-spyware software. It may be malware feeding you false reports, trying to get you to spend money on their program. Our IT guys at work recommend AVG Free and Spybot. I use them and am free of problems. I've been told that the first thing that malware does is to disable your defences. How true is this and what can we do about it? If we download Spybot etc but don't install them can they be disabled or, if we get a problem can that then be installed and run? Usually what they can disable is your firewall/anti-virus. Sometimes hose your browser over. If it's not installed they can't do anything to it. Spybot and Adaware are good choices to keep installed. I've not seen anything that disables them but I also don't use the always on portions, they are only active when I ran them to scan. Of course your best defence would be to install linux or unix. sheet to ensure it's not going to be a source of it's OWN Virii! !